As war draws nigh and you realize you must enter the fray, you will need all the protection you can get. 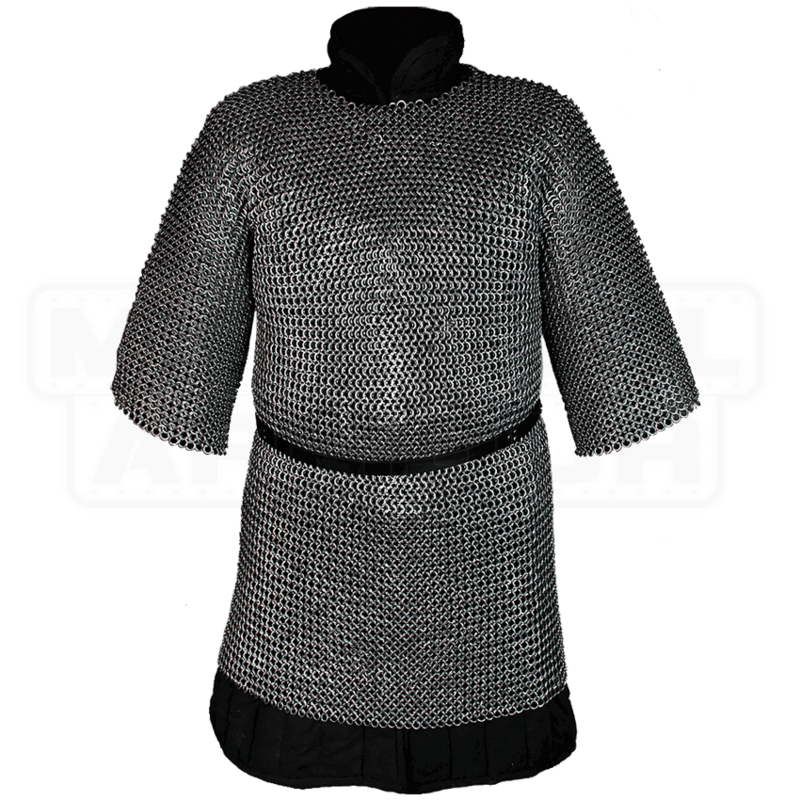 Choose the John Oiled Flat Ring Chainmail Hauberk, an essential addition to any medieval or fantasy knights ensemble of armour. 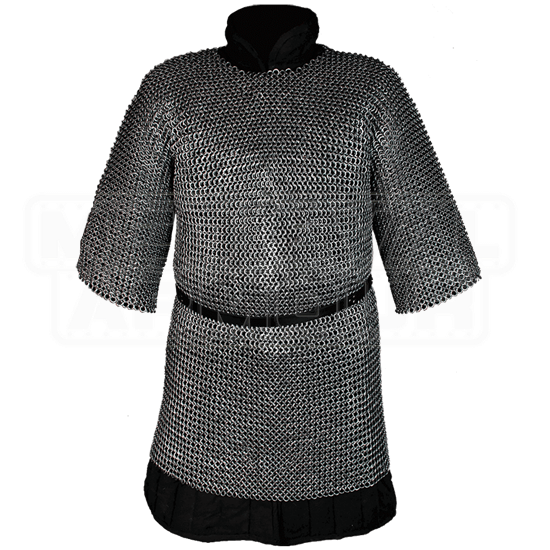 Made of steel rings woven in a traditional 4-in-1 pattern and flattened, this historically-inspired chainmail tunic features versatile short sleeves, great for combining and layering with both steel and leather armour pieces. As pictured, wear this hauberk over a padded gambeson for best comfort and safety, and cinch its length with a belt at the waist to help distribute its weight. The tunic length is intended to hit around the knees for most wearers. Ungalvanized and untreated with chemicals, the hauberk is coated in oil to help resist rusting, so occasional oiling is required to help maintain its quality. If your next LARP or other costume-worthy excursion calls for a fantasy warrior or knight-inspired look, the John Oiled Flat Ring Chainmail Hauberk adds dimension, authenticity, and protection to your persona.